This post was sponsored by Greenlight. It’s not that I’m broke. I just consistently forget to get cash out. In these modern times, I am more apt to PayPal someone then pay with cash money. I use my debit card for just about every transaction. And I rarely go to the bank these days. So having cash on hand is one of those things I’m constantly forgetting. In fact, as I am writing this, my wallet consists of some leftover bills from guitar, a random 20 euro bill that I keep forgetting to exchange, and a tattered blank check. I can usually get by fairly well without having cash. There are those random moments where I actually need it… The parking garage at the theater, when a room mom asks the class parents to send in cash for a group gift, or when my kids want to go buy something themselves. My kids wanting to have some financial independence is probably one of the big challenges of being a person who doesn’t carry cash around. They are at an age where they need some autonomy financially, and I don’t like having them on a cash system. With four kids, doling out cash they need means that not only do I need it on hand, but I need it in amounts equally divisible by four. Also, my kids are very prone to losing cash. But they are too young for a traditional debit card. 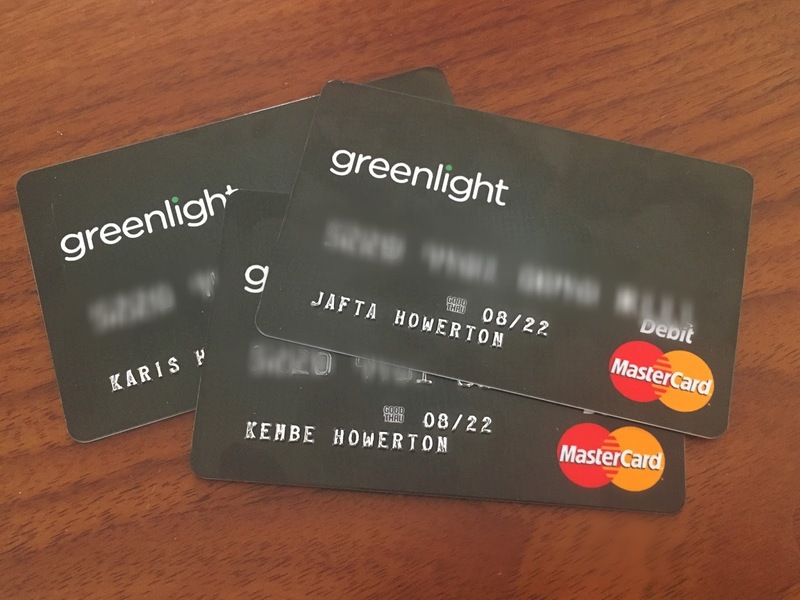 There is a new debit card for kids called Greenlight that I have been using for the past few weeks and I am loving it. 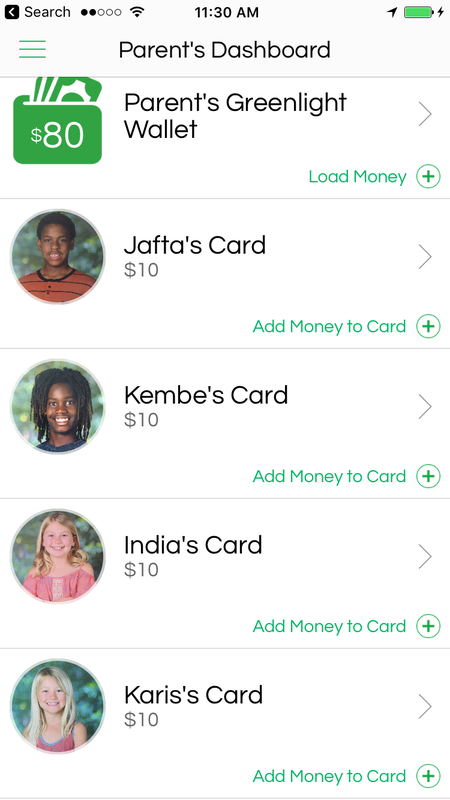 It allows each child to carry a debit card in their own name. I have complete control of the debit card from my phone. I can add cash to their own card at any time. It’s incredibly convenient, especially for those moments when they want to go to a movie or the store with a friend and my wallet is empty. I just pull out my phone and add cash to the card. I can even do it remotely. For example, the other day Kembe went home with a friend to carpool to practice. I forgot to give him money for dinner, so all I had to do was open my app and add enough money to cover it. Or Jafta was picked up by a friend to go to a trampoline place with their youth group. I didn’t have cash on hand so I sent him with his car and loaded the admission fee from my phone. 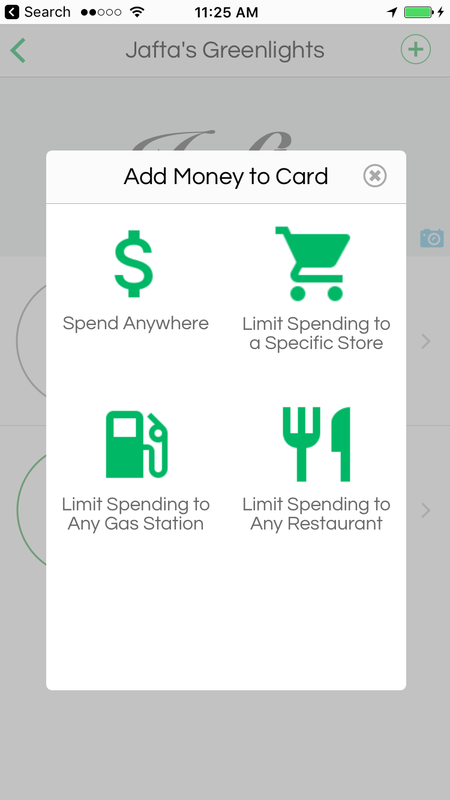 Another feature I love about the card is that you can specify where they can spend their money. So instead of them having free reign, you can designate a specific store, or that the funds are only to be used for gas. I can see where this will be really useful in the future, so that they are spending money I give them on gas instead of candy or soda. Some other great features… You can set it up to auto pay your child for their allowance if you have them on a regular system. You can also track your child’s expenses in real time. You can set it up to notify you for every purchase that they make, which allows you to be able to review their spending with them later. 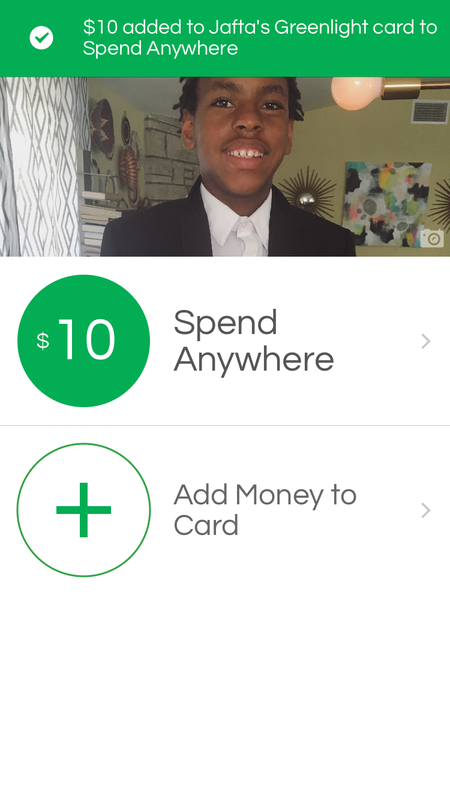 It’s a great way for parents to track what kids are actually doing with their money. You can try Greenlight for free for 30 days to see if it’s a system that could work for you. After that, it’s just $4.99 per month for the entire family. I am loving the convenience and plan to have my kids on the system until they are old enough to balance their own bank account.